The next entry in EA’s popular Battlefield series will take gamers back to World War II, the same setting Activision used in the most recent Call of Duty game. That’s not necessarily a bad thing considering WWII was the best-selling Call of Duty game since the franchise peaked in 2012 with Black Ops II. Sources familiar with the matter say the game, referred to internally as Battlefield 2 until a recent name change, will be called Battlefield V. It’ll be an entirely new game, not a remaster of 2005’s Battlefield 2 as the former internal name may suggest. EA is expected to announce the game soon and launch it later this year, likely around the same time Activision drops its next Call of Duty game. Speaking of, industry insider Marcus Sellars said last month that Treyarch is working on the next Call of Duty game. Dubbed Black Ops 4, the entry will be set in modern-day with “boots on the ground” combat when it arrives in November on PlayStation 4, Xbox One and PC. A port for Nintendo’s Switch is also being developed by a company familiar with CoD games, Sellars added. A rumor from December claiming DICE is working on Battlefield: Bad Company 3 – set during the Vietnam War – is inaccurate, VentureBeat claims. If EA is considering a Bad Company sequel, it won’t happen anytime soon, the site says. 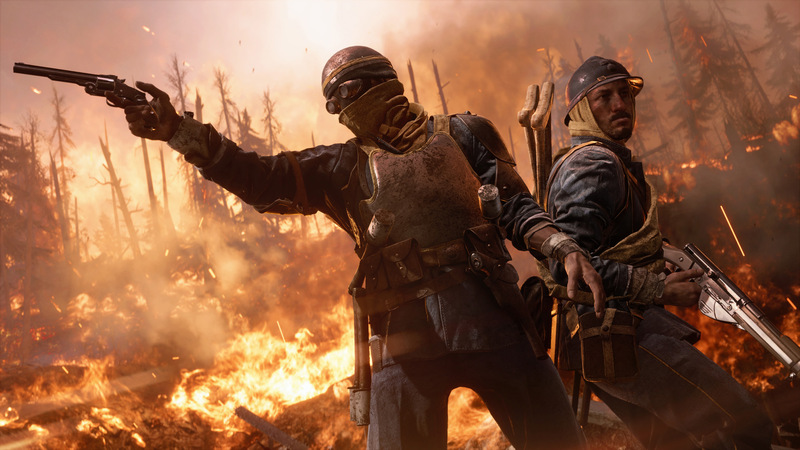 Battlefield 1’s final DLC, Apocalypse, launched in February.